I will be getting the special offers coupons set up in the next week, but in the meantime, Just let Jean know you read about the discount here and she’ll honour it. My name is Jean Ngo, a doctor and pharmacist from the Philippines. I have lived here for more than two years now. How time flies. 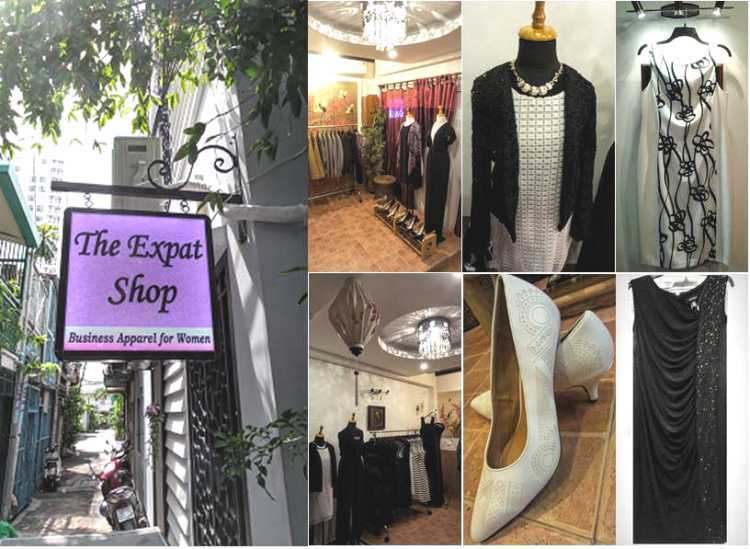 I recently opened “The Expat Shop” which is a fashion store catering specifically to female expats. “The Expat Shop” offers an elegant collection of Western-sized clothing and shoes appropriate for the office, business, and formal wear. I based the concept on personal experience. I’m an expat myself, so I know the clothing needs of women who come here for work. It can be especially difficult for first-timers, or those who are here on a short business trip, to find suitable clothes in Vietnam. I aim to provide convenience to my customers, so they don’t have to scout the whole city just to find an outfit for an important meeting or presentation. I’ve already done the scouting for them. I have about seven different suppliers for my collection at the moment, and I intend to include more items in the future. More details about The Expat Shop can be found HERE. Beautiful clothes and shoes in Western sizing. Why did you choose Ho Chi Minh City to live (and start your business)? I find it very livable and relatively safe. I first landed in HCMC when I was backpacking in South East Asia. As I travelled, I was on the lookout for a place where I could potentially migrate and settle. Being a South-East Asian, I did not have much expectation on this part of the region. 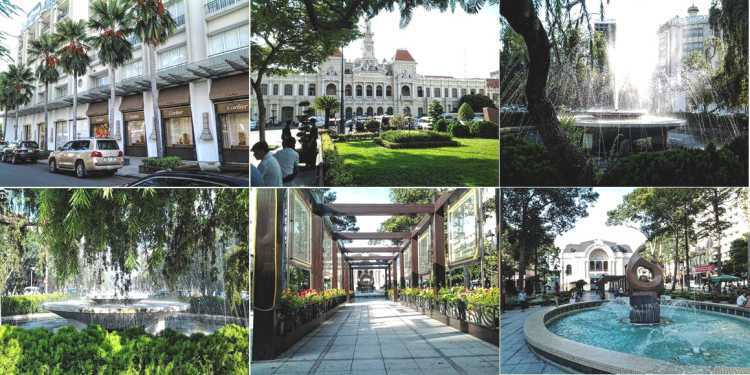 However, when I saw the area around Nguyen Hue in the city, I was very impressed. It was different back then and reminded me a lot of Los Angeles, with lots of fountains and palm trees. 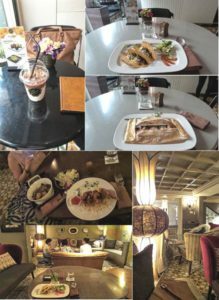 Places like the Rex Hotel and shops with luxury brand were quite impressive and very was different from the rest of the city. That’s when I realised I could live here. I also felt quite safe and found the food very favourable. Even before my 21 days as a tourist were over, I started applying for jobs as a way to stay here longer. Lo and behold, I got a job and worked for the next two years as a drug safety manager in a healthcare company in HCMC, holding a TRC. Starting my new business here is just a continuation of the life I chose in Saigon/Vietnam. 1) The city is relatively safe for foreigners. 2) The locals are very receptive to all kinds of visitors. 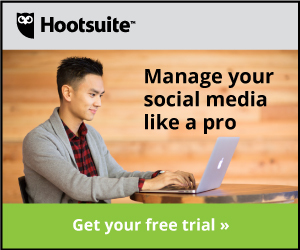 I think this is something they have in common with Filipinos. They are curious people and are very willing to communicate despite the language barrier, which shows enormous hospitality. 3) Although HCMC is more expensive than Hanoi and Manila, the cost of living here is much lower than many other countries. 4) You can get around the city quite easily, despite the absence of a metro rail. The buses and cabs can take you everywhere. 1) Since day 1 of my stay here, the locals have warned me to wear my shoulder bag diagonally across my body at all times to prevent it from being stolen. I would advise any visitor to do the same. 2) Be careful of taxi scams with rigged meters or drivers that take you round and round the city, especially if they think you are a tourist who does not know this place that well. I think the best option is Grab cars (not Grab taxi) as the meter is predetermined when you order a car through the app. 3) Wreckless bus drivers – bus drivers in HCMC are not well-trained, unlike in developed countries. I had a personal experience of being inside a bus that swerved at four motorbikes and pinned them all between the rear of the bus and the street canal, causing one rider to fall off their bike. So be careful with riding motorbikes on the main roads where there are bigger vehicles like buses or trucks. I have seen a lot of motorcycle accidents here, whether motorbike-to-motorbike collision or motorbike-car, they are quite common. 4) Some people have a tendency to exploit foreigners, so it is good for expats to establish friendships with trustworthy locals who can help you communicate and transact honest deals with local business owners. When you find these people, treasure them as well as they will treat you like family. For short-term visitors like tourists, just try to haggle as much as you can. What are your favourite foods/restaurants and why? 1) Runam Café at 96 Mac Thi Buoi — HCM does not have authentic Mexican food, so the closest taste to a taco I could find is at this café. I have tried these so-called “Mexican restaurants” in the city, but the preparation and taste fall short of the real thing. Furthermore, Runam Café also offers very cosy and classy ambience. 2) Café di Ambra inside Citilight Tower on Vo Thi Sau – their Flan Cake Iced Coffee is a must try! Try the flan cake iced coffee at Caffe di Ambra – Delicious! 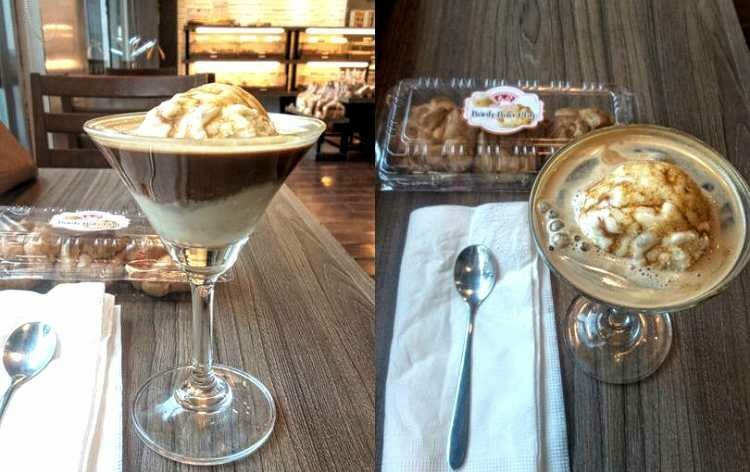 3) Luxe Coffee at Ly Chinh Thang – I highly recommend their Affogato. 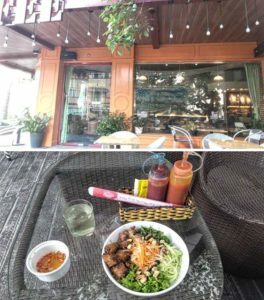 4) Trung Nguyen Coffee on Cach Mang Thang 8 – very conducive ambience to just sit back and relax, and they also have good food. 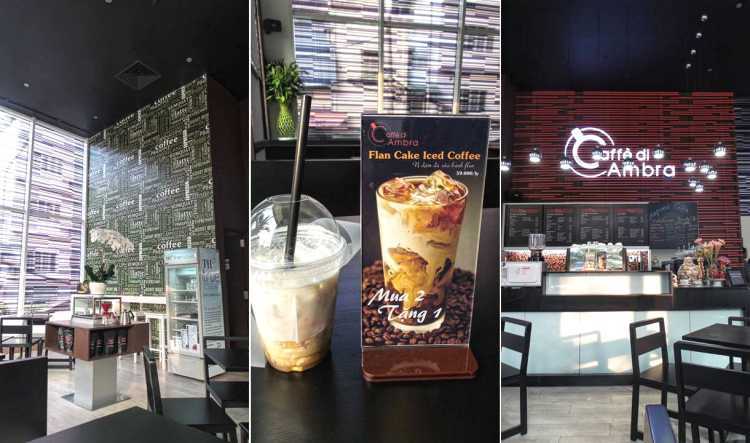 Trung Nguyen Coffee – good coffee, good food. 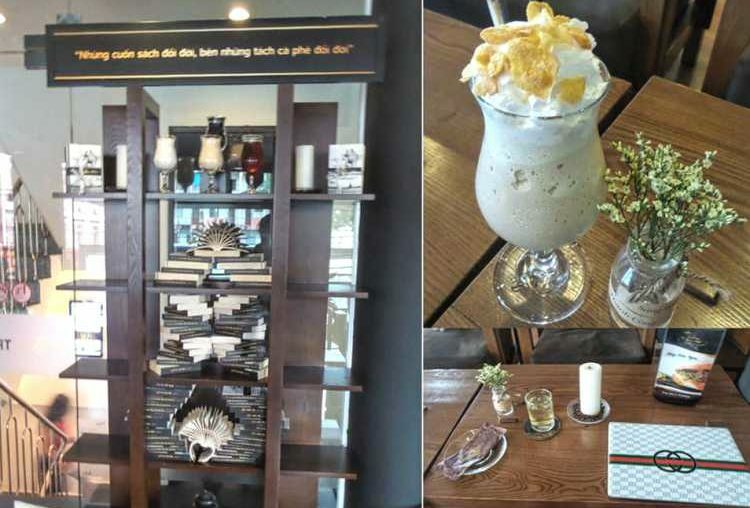 5)The Starling Coffee at Nguyen Van Nguyen – my personal favourite is their Bún thịt nướng chả giò, although almost all their food is good. They also have very courteous staff. 6) Cuc Gach – exotic presentation and excellent food. 7) Gao at Le Than Ton – superb Vietnamese food, luxurious ambience. 8) Al Fresco anywhere — the best spaghetti in HCM, but don’t make a mistake of ordering a burrito, their version is a soupy mixture of ground beef and diced tomato and bell pepper wrapped in a soft taco. 9) Cuc Sang De Dang – if you ever pass by Le Van Sy, do drop by this tea shop. Their bubble milk tea (Trà sữa trân da) has a very rich taste though it only costs 12,000 VNDvnd (50 cents) – a true Vietnamese price for everyone! District 1 area has many good nightspots and is filled with restaurants and bars. For females, avoid the Apocalypse Bar. In my free time, I go cycling in parks, play tennis (they have a lot of tennis courts here, and the Vietnamese are enthusiastic about this sport), or go swimming. After work, I sometimes unwind by just going around the city, appreciating my life as an expat. I love to remind myself that I am walking around in a foreign country without having to pay for an airfare. 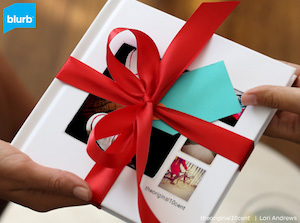 As for what visitors might love to do, it depends on what they are looking for. But there are museums, malls, parks and historic places where they can visit to pass the time. 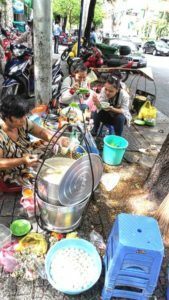 2) Eat at a Cơm tấm place for only $1 – it’s a distinct experience, it is part of immersing yourself in local everyday life. 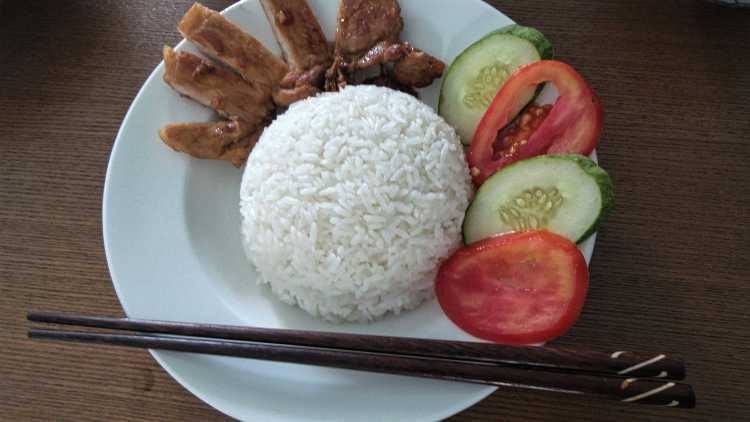 Order Cơm Gà (fried chicken with rice) or Cơm Cá khô to (rice with braised fish). 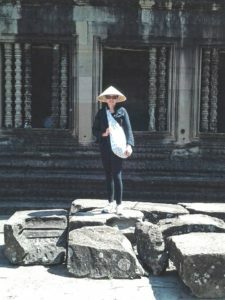 3) Buy a Vietnamese hat for $2 and wear it on your tours – it will make your trip feel more exotic. 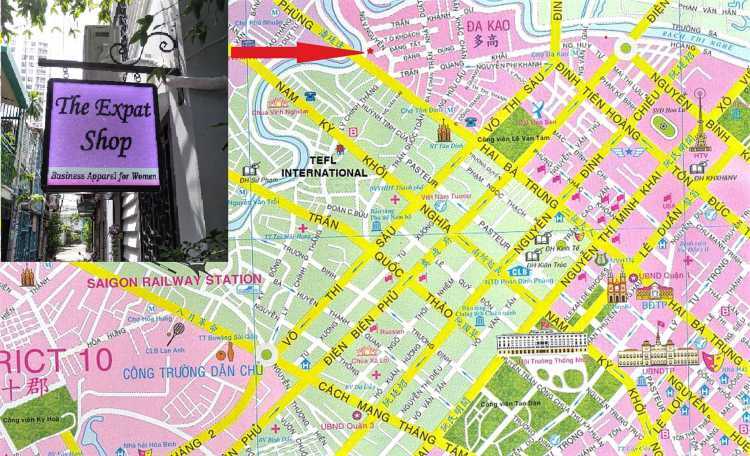 4) Read on the history of Vietnam, so you can appreciate the tourist spots or historical places that you will see in HCMC. 5) Visit The Expat Shop and see what’s on offer. You may see something perfect for your next business meeting or formal occasion. 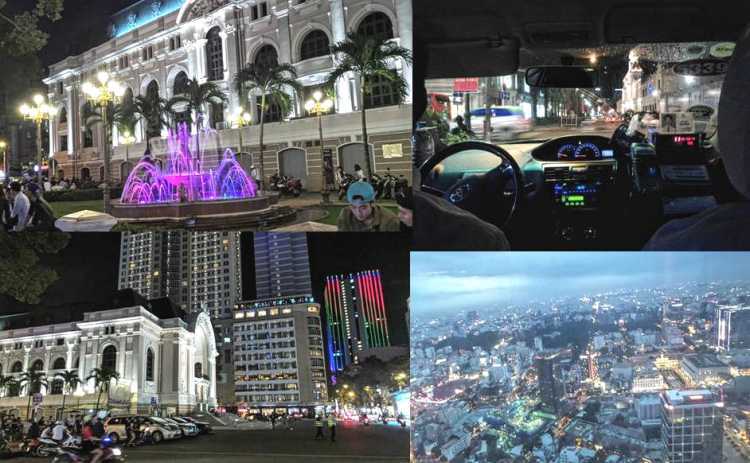 What has been your NUMBER 1 HO CHI MINH CITY HIGHLIGHT? Here’s where you’ll find Jean. Editor’s Note: Cheers Jean for that info. I hope you all enjoyed her story – She certainly does like her coffee and the local specialities doesn’t she folks. There are some great suggestions there for your next visit. If you’d like to be featured in this series or know of anyone who would provide an interesting story, then either pop a comment down below or send me an email at sharyn@hochiminhcityhighlights.com.